You are currently browsing the tag archive for the ‘hercules storm’ tag. 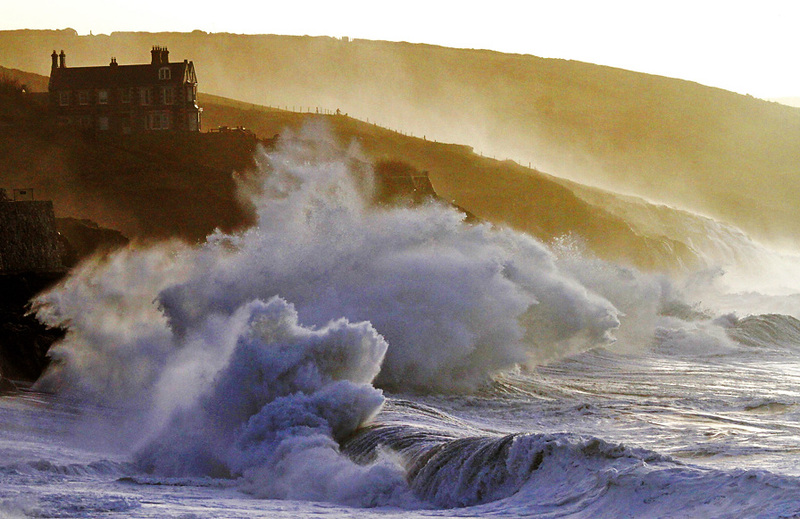 I’ve messed around with wave pics before but some events call for the professionals – and the Herculean storm that battered Cornish shores this January was one of them. So it is a treat to feature the work of PZ photographer and pasties & cream friend Mike Newman during these brine-soaked days. These two pictures also made their way to the Guardian, the Times and Telegraph. Here’s what Mike had to say about the experience. “Shooting the Hercules storm was an amazing but busy day for me as a photographer. The hype surrounding its approach was as large as the predicted waves and my photographic anticipation was further increased by my interest as a surfer. Howling winds and heavy seas meant Porthleven was a misty, windy, apocalyptic spectacle when I arrived, somehow reminiscent of a film set dotted with photographers and storm watchers, under a watery half-light and scurrying clouds. 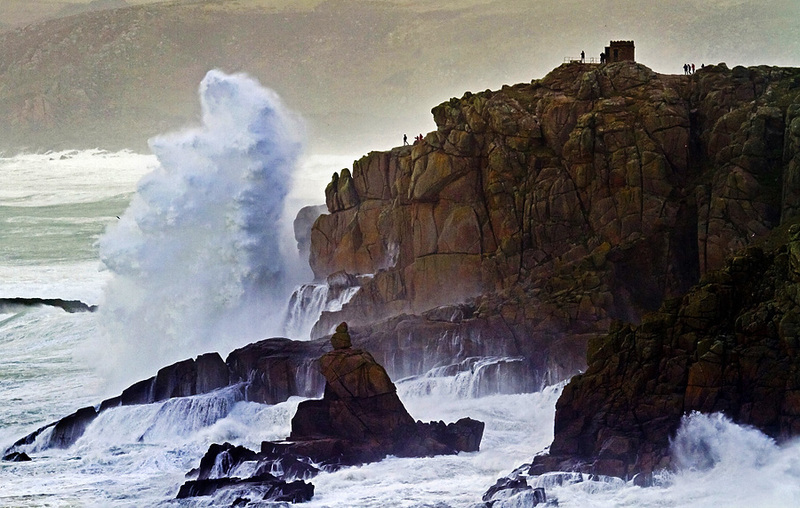 The ground was shaking at the top of the cliff as solid waves hit the shore, always preceded by an ominously heavy ‘crump’ as they unfolded onto the beach. I’ve seen bigger waves but these ones were so thick, they carried a massive amount of power, sending huge plumes of spray over the houses on top of the cliff. And over expensive camera equipment if you didn’t get covered up in time. mikenewmanphotography.co.uk; Mike also ‘raves and rants’ about Penzance life at http://ocean-image.blogspot.co.uk. Fancy pasties & cream in your inbox? pasties & cream in your inbox? Enter your email address to subscribe to pasties & cream and receive notifications of new posts by email. Sign me up to pasties & cream! urlaub cornwall – cornish blog in german!